In Reportz you can apply custom filters in the Custom Filter field within a widget. 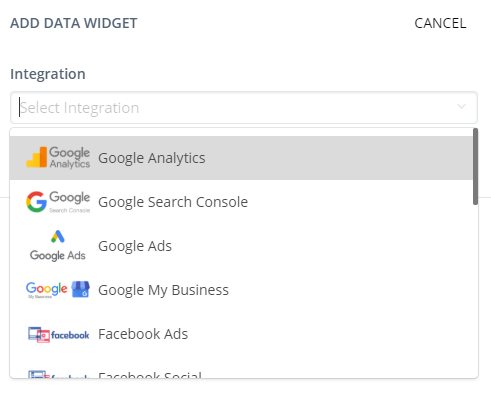 Click on Add Data Widget and select Google Analytics as Integration. After that, select your analytics account and service. In the second step, you can select your Property, Profile (View) and choose your Widget. 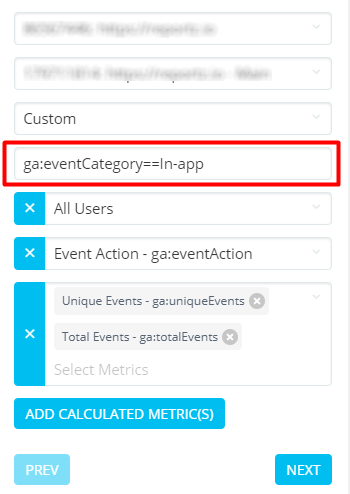 In our example, we will use a custom widget, and select Segment (All Users), Dimension (Event Action) and Metrics (Unique Events - ga:uniqueEvents and Total Events - ga:totalEvents). 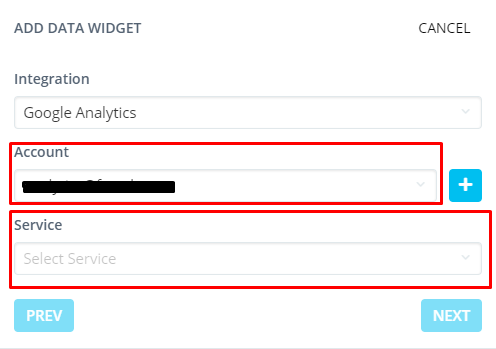 Below the widget, there is a custom filter field. Here we can filter our data using Google Analytics API. For example, we would like to present only In-app events with event action as dimension and Total & Unique Events as metrics. 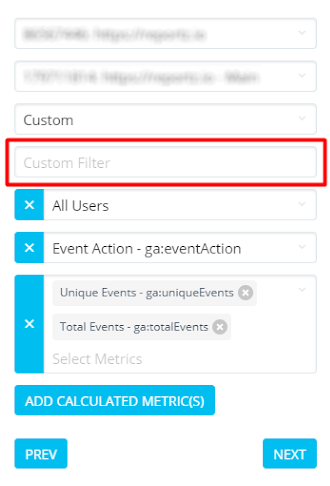 We can do this by filtering Event Category to exact match In-app (type ga:eventCategory==In-app in custom filter field). 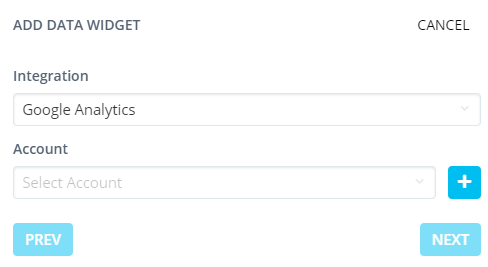 In the third step, you can add the widget title and description, choose widget size, type etc. 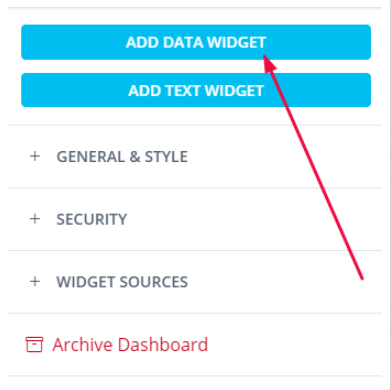 After you hit Submit data, the widget will show only In-app events. 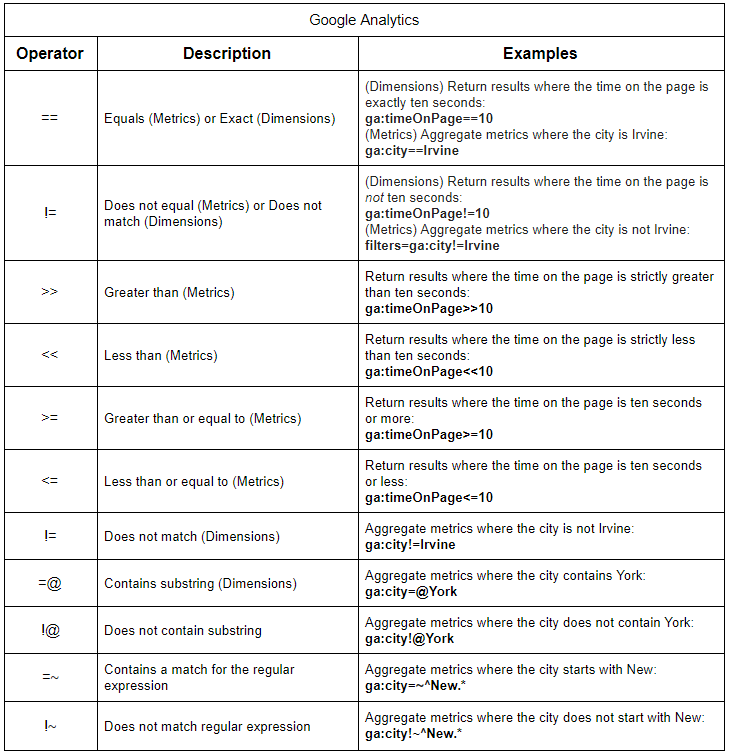 Here is a table with all the Google Analytics operators that can be used in data Filtering. Reportz Custom filter allows you to combine multiple filters for Google Analytics using AND and OR logic statements.